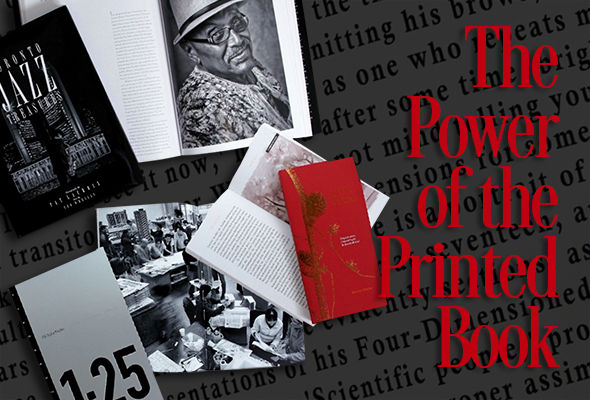 Printed books are on the rise. I was driving home from an appraisal in central New York; it was September 11, and we all have that day etched in our collective consciousness. Bob Woodward was being interviewed on National Public Radio (NPR). What an opportunity to buy his book, which was being released that very day, so I made a quick detour into the picturesque city of Oswego to look for a bookstore. As luck would have it, I found one on the main street and strode in assuming I could buy a copy before it would be available in Toronto. I looked and looked, finally going up to the sweet older lady at the till and asking. “No,” she said. “We are supposed to get a shipment this afternoon, but it hasn’t shown up yet. Even the prince-of-darkness (Amazon) is telling everybody one to three weeks for delivery.” Brick and mortar bookstores have no love for Amazon’s blitzkrieg approach to price-cutting. And, so I left disappointed. This got me thinking about the power of the printed book and our preference for physical books over e-books. Bob Woodward has created quite a stir in America with his new book, FEAR – Trump in the White House. Already, even before the official release date of September 11, the publisher, Simon & Schuster, is on its ninth printing. On the very first day, 750,000 books were sold, and the totals for print reached 1,150,000 just a week later. This breaks Simon & Schuster’s all-time record for pre-orders. But downloading to Kindles, and audible versions are instantly available. Still, the preference is clear, and the winner by far is the printed version. Harry Potter and the Deathly Hallows (2007) sold 15 million copies worldwide and held the record for the highest initial print run of any book in history. Adding all the Harry Potter books together, the series is the best-selling of all time with 500 million copies. J.R.R. Tolkien’s Lord of the Rings (1954) sold 150 million copies and remained the largest selling book of fiction ever. To date, Think and Grow Rich by Napoleon Hill (1937) has 60 million copies printed and is the largest selling non-fiction book ever printed. Guinness World Records is another type of classification and since 1955, is estimated to have sold 124 million copies by 2010. Of course, this excludes religious books such as the Bible. Estimates are between 2.5 billion to 5 billion Bibles have been printed since Gutenberg’s initial 1455 print run. In the last year, another rather salacious book about the American president was released by author Michael Wolff. Fire and Fury sold 1.7 million copies in all formats just in the third week of its January 5, 2018, release. E-books and audiobooks represent between 400,000 and 500,000 of the total 1.7 million copies. According to NDP Bookscan, 2017 printed book sales increased by 1.9 percent compared to 2016. If we go back to 2016, sales jumped 5.2 percent. E-books fell 7.7 percent during the same period. Adult non-fiction books led all growth categories with a 6.85-percent increase from 2015 to 2017. How big is the printed book market? It’s tough to gauge as there are so many variables and types of books, but information available indicates for the U.S. alone the printed book represents revenues of US$3.3 billion. A billion paperbacks are in these figures. Physical books, often assumed as dead as the newspaper, are becoming difficult to ignore. Amazon, who started out just selling books, holds a 41-percent share of the book market and 67 percent of the e-book sales. Deloitte’s 2015 research paper, Print is alive and well—at least for books, discovered sales of the printed book are four times larger than e-books and in all countries. Deloitte also pegged the U.S. total sales as much, much higher. They reckon that in 2013, over $14.6 billion in sales with print sales representing 79.5 percent and e-books only $3 billion of the $14.6 billion totals. Citing the obvious difficulty using a smartphone to read books, Deloitte discounts phones ever replacing a book. Tablets, Kobos or Kindles are another stories perhaps. But even with these devices, which can download in seconds, enlarge font sizes, adjust for poor lighting and hold hundreds of volumes, printed books not only hold their own but are actually stealing back market share. All this good news fortifies an industry. Books can also be valuable. First editions always garner great interest, and there are hundreds of thousands of rare book collectors pounding the pavement, rummaging through thousands of used book stores hoping to find a rare edition such as Senator John McCain’s favourite, For Whom The Bell Tolls. In today’s world and especially for those living in open societies, free time is not a luxury any longer. Mass automation is now the norm — not the exception. Free time will only increase as more and more of our jobs succumb to intelligent processes and machines. We all have more leisure time to fill. Large book runs are only a part of overall book sales. Small presses and private publishers produce titles constantly but with much smaller runs. A great many more books are printed digitally in tiny quantities. I know one artist who does all the work himself. He sets his own type, engraves his own illustrations, binds by hand and makes a bespoke box. These are treasures. With more time and money, the populace will seek out real experiences and physical things to enjoy, collect and exhibit — things you can’t always do with e-books. Still, we must consider that a printed book is not the saving grace for the rest of print because it isn’t. Once younger people enter positions of authority, especially in education, there will be a further elimination of [text] books. Nothing can stop that once the hard accounting comparisons are analyzed. Digital books, especially in schools and universities, have no manufacturing costs and hardly anyone picks a chemistry book off a shelf for enjoyment. I recently sat in on a few classes at my daughter’s university. Watching other students interfacing with tablets and laptops – smartphones too, of course – made me realize their accrual of knowledge is completely different from when I went to school. If what we print is disposable and has no redeeming qualities after a “sell-by-date” then big offset press commercial printing will continue to decline. Talk to almost any commercial printer, and they will tell you they make their highest margins on their lowest cost equipment: Digital copiers and wide-format inkjet. Who wants to keep a real estate flyer for a house already sold? Books have more to offer, with its combination of a best-selling author and a format that continues to captivate future generations. It’s been doing that since books were as valuable as a Rolls-Royce back in the 15th century. There is a lot of skill needed to write, then produce, a book. That’s a major difference. Books need authors. One of the reasons why printed book sales are climbing is because an author, such as Bob Woodward, writes something we really want to read. The Internet, social media, TV and radio do the heavy lifting that drives us to want to buy that book. Most important of all is our need to own things. Leisure time just exacerbates our ability to accumulate anything unique. Books, well-written and well-produced, are ideal just as rare paintings and sketches have shown us. We can scrawl in the book, have it signed by the author, give it as a gift or adorn a library. Just look at book sites such as Abebooks.com and Vialibri.net, and you will see the power of the printed book. Signs indicate that’s not changing anytime soon. Make your customer want your stuff because he or she can’t get it anywhere else.